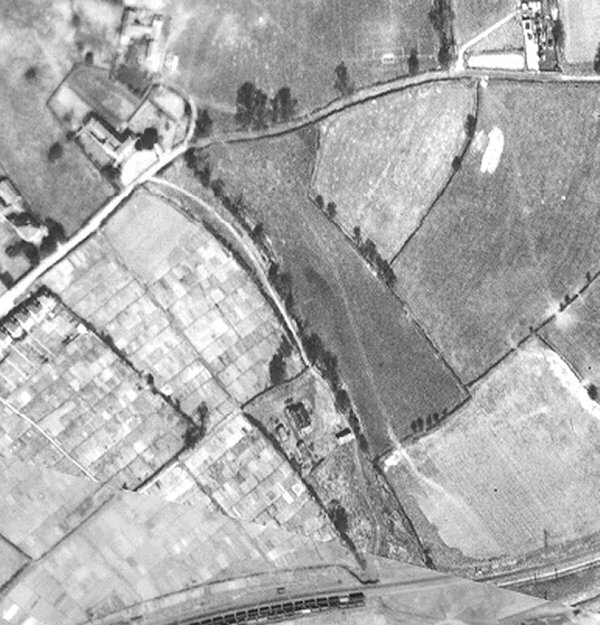 Little Lyde Farm was originally a medieval farmstead, located approximately where the open space on the north side of Lyde Road bounded by Sandringham Road, Balmoral Road and Howard Road is today. It was at the end of Lyde Road, indeed Lyde Road ended here until after the Second World War although a track, Lyde Lane, ran off eastwards across open fields. It had at one time been known as Peckford's Farm and owned by the rector of St John's church. It was later named as Little Lyde Farm to distinguish it from its larger neighbour to the north, Great Lyde Farm although in earlier times they had been called Lower and Higher Lyde Farms. The Terrier of 1743 described Peckford's Farm as follows (sadly, lacking punctuation) "Winsor's two acres and half Orchard two acres and half arrable Jeans's Orchard four acres Pasture eight acres Pasture eight acres Arrable upon the Hill Twelve acres Pasture Barn Close five acres against the Guile five acres Meadow round the house one acre - all to the Parsonage of Yeovill." The 'guile' referred to above was Lyde Gurl, an ancient Somerset dialect word, also seen as goyle, goyal and goile, derived from the Middle English goule, having a root in the Old Norse geil, meaning a ravine or gully - a physical feature seen in several places locally through which flows the River Yeo. 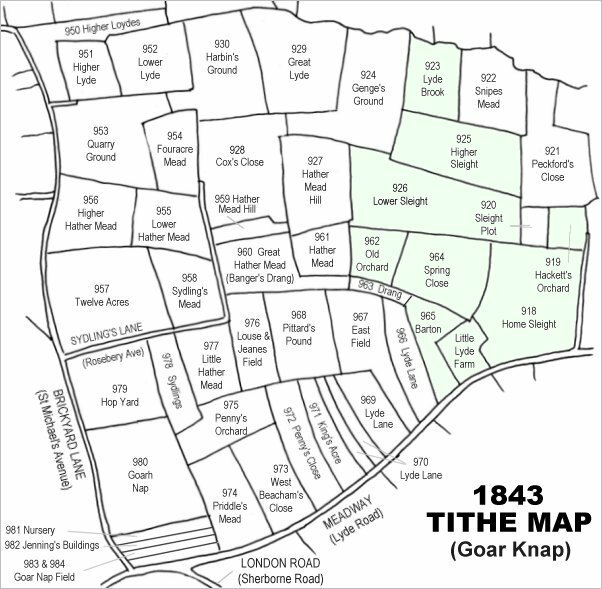 Charles Marsh also farmed three fields owned by Samuel Isaac; Sydlings (Parcel 978) now the site of the northern end of Percy Road and Lower Ryalls (Parcel 995) and Higher Ryalls (Parcel 999) both in New Town. By the time of the 1861 census the farms were known as Lower and Upper Lyde Farms with Lower Lyde Farm being farmed by 52-year old Yeovil-born James Pudding or Pudden, described in the census as a 'Farmer of 70 acres employing 3 men & 1 boy'. He lived at the farm with his wife, Hannah, and their seven children. 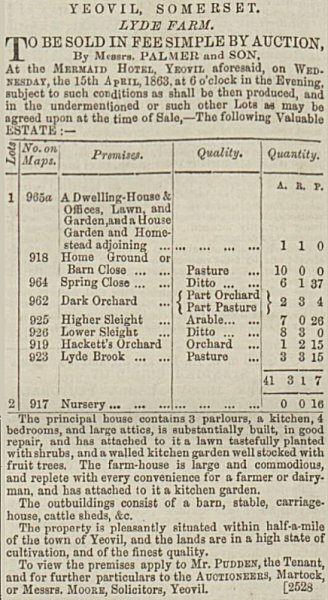 Lyde Farm was sold in 1863 (see Gallery) by which time Hackett's Orchard (Parcel 919) and Lyde Brook (Parcel 923) had been added to the farm. In 1871 the farm was run by John Warden, 'Farmer of 87 acres, employing 2 men, 2 boys', who lived with his wife Mary and a 19-year old dairymaid - hinting for the first time that it was a dairy farm. By 1881 William Bond and his family were living on the farm, once again described as 'Lower Lyde' but his occupation described him as 'Farmer (25 acres employing 1 labourer)'. Also on the farm were George Budden and his family. He was described as 'Farmer of 22 acres' and John Marden and his family - Marden described as 'Farmer of 92 Acres'. In 1891 it was still farmed by 60-year old farmer William Bond of Axminster who lived there with his 46-year old wife Mary Ann née Bentley, originally a farmer’s daughter from Chardstock. The three eldest sons, William, Henry and Frederick, worked on the farm while the three youngest children were all at school. A 16-year old farm labourer also lived at the farm. In Whitby's Yeovil Almanack Advertiser of both 1898 and 1903 William Bond (presumably the son) was listed as the farmer of Little Lyde Farm but by 1911 Whitby's noted that the farm was being farmed by the youngest son, Frederick James Bond. By 1915 Whitby's listed Thomas Watts as the farmer in residence but, by 1918 he, according to Whitby's, had been replaced by William Cave. In 1947 it was being farmed by Mr C Flagg and in January eighteen cattle had to be destroyed due to a foot and mouth outbreak. 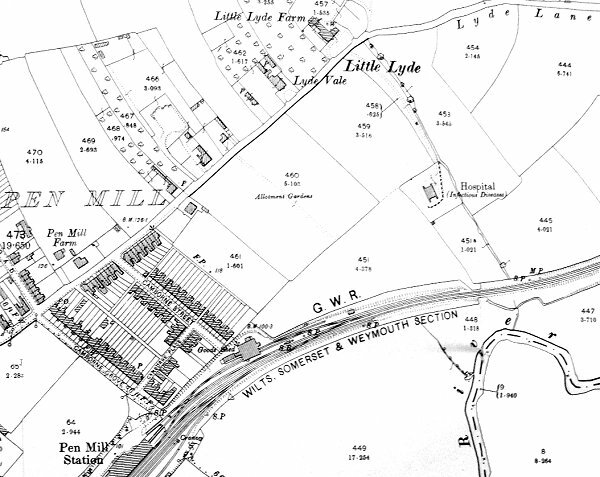 On this 1901 Ordnance Survey Little Lyde Farm is the area shown at top. Lyde Road was not built beyond this point until well after the Second World War. Those fields shaded green were those sold as Lyde Farm in 1863 (see Gallery). 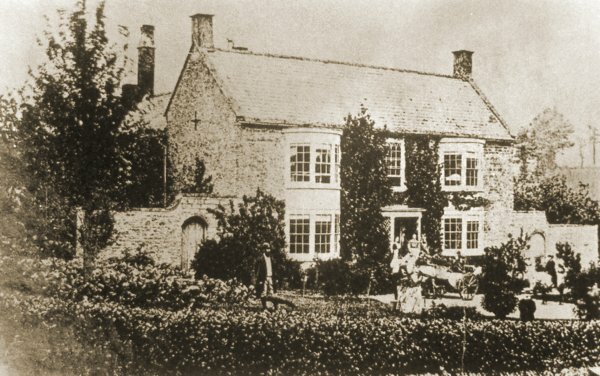 Little Lyde Farm, photographed around 1870, about the time John and Mary Warden were living there - is that John standing in the garden and Mary standing at the door? 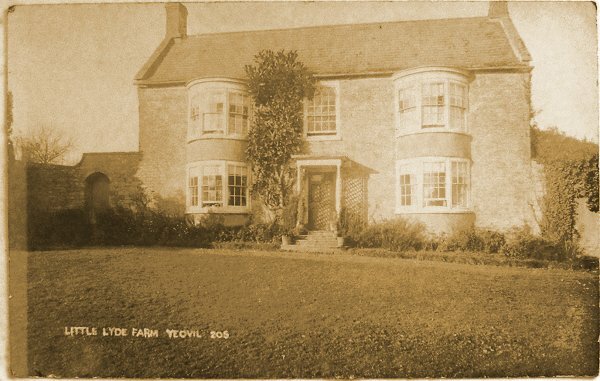 Postcard of Little Lyde Farm, probably dating to the 1920s.